I was at an institute located in Rajajinagar yesterday to exchange my views on a free-from-landfill future. A brief interaction with 25-30 undergraduate girls and boys revealed that they had heard of only Maddur, not Mandur. They had no clue about segregation at source. Nor had they heard their parents or relatives talk about segregation at source. Nearly 40 minutes went by. I kept nagging them with questions and anecdotes and did my best to enthuse the crowd and tease out a single answer but drew only blank stares. Not a single hand went up during the Q&A session either. My heart sank! This whole talk about sustainability seemed so utterly futile, just a silly obsession with a handful few that go on building waste-free castles in the air. The rest of the city doesn’t give a hoot really, even if it were to become a full-fledged landfill in a few days from now. As I walked out of the room, one young guy named Vikram met me in the corridor and started narrating how he and a bunch of his friends had been trying to create awareness on eco-Ganeshas for three years now. He asked me how to go about getting apartments around his area fall in line and keep the groundwater from getting polluted by hazardous leachate seeping down from piles and piles of garbage. “Like spring, the beginning of everything is small”, isn’t it? This entry was posted in Endlessly Green. Bookmark the permalink. Very nice to see your interaction with youth. waste segregation is not at all cumbersome, i wonder where the problem -is it the people or town planners or both? Dear Suguna, I would say, both. 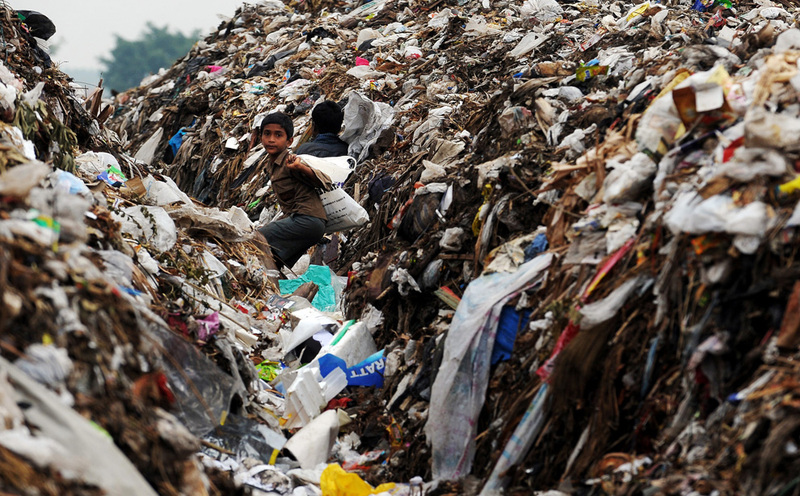 For a majority of the population in Bangalore, landfill is a non-issue. It’s the typical “out of sight, out of mind” attitude. They do not want to pay attention to the fact that landfills hurt everyone eventually through polluted air and groundwater. But there is a small but significant set of people who not only do their bit but also try to create awareness about the issue. As far the officialdom, if they put off the Mandur issue for sometime, they consider it a victory. Drag the issue as long as possible and then dump it on the next regime. That’s all. I segregated waste for quite a while and i thought it made a lot of sense. I still do some segregation of kitchen waste vs other waste and compost my kitchen waste. What put me off was the fact that i realized that my apartment garbage collector was taking segregated waste and dumping into one single bin at the apartment security gate… And There is no point in talking to the people who come to collect this garbage. They are too low down the order…. You are right. 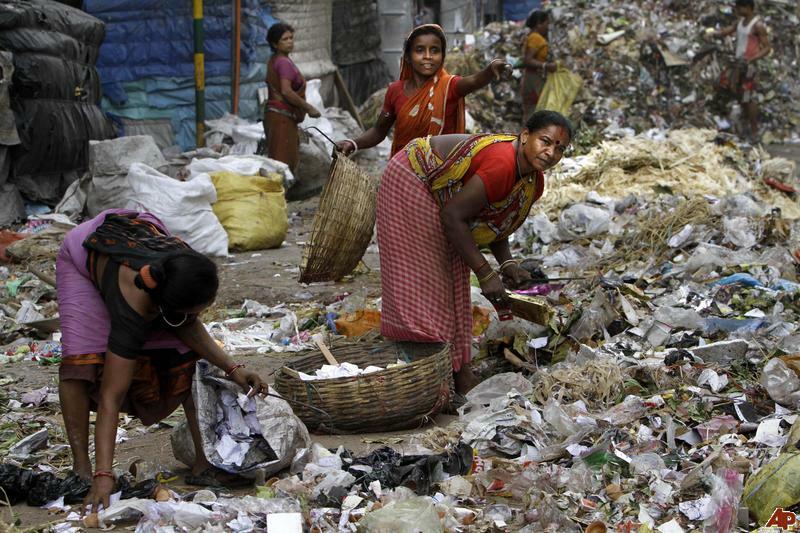 Pourakarmikas who collect waste from each household have no say in how the waste should be treated. The garbage contractor is only concerned about the investment and operational cost of running his vehicle and the money you pay to him. In fact, he would want this issue to go on forever. With Mandur or without it. Because he knows that the government will ‘invent’ another landfill when this one shuts down for good. You can very easily take your efforts to another level and not be bothered about what happens once you give out segregated waste. Why not start a community campaign in your apartment itself and get things going. It’s all easier than we think. All you need is a bunch of like-minded people who can spare a few hours a week and things will fall in place instantly. You can compost kitchen and garden waste, sell segregated dry waste to a local contractor (and small money out of it) and then send out sanitary waste for incineration.